I hate office air conditioning. Actually, I hate the intense air conditioning in Hong Kong period but I especially dislike the intense air conditioning in Hong Kong offices. It's a common sight to see me at my desk with a scarf, jacket AND hugging a cushion in order to stay warm and that still doesn't quite work. So when I saw these USB Animal Warm Cushions, I'm quite tempted to go get one. I find hot water bottles increasing annoying and a waste of water and those disposable hand warmers just isn't very environmentally friendly. 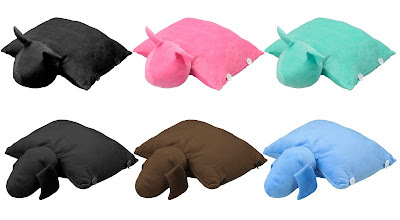 These random animal cushions however, seem to do just the trick. 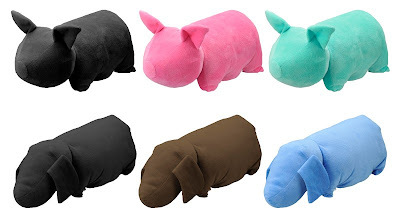 But my key question would be how huggable these would be and would I look weird with an animal on my lap while working away? Well, I have to admit hugging a stuffed animal while working in the office is a bit wierd, but all of them are so cute!! !